My journey to financial independence started way back in 2010. I was already working as an IT consultant in a banking software company here at Manila for 2 years and I was 23 years old back then. Not surprisingly, I am one of those young professional Filipinos which do not have any savings and are not debt free. Although, I must say I really enjoyed spending my monthly paychecks having the latest gadgets, partying around and travelling a lot. I think this is always the case for most of the young Filipinos nowadays. But then I remember how I pictured myself 5 years and/or 10 years after Graduation, I told myself that I should earn my first million before reaching 30. I realized that time that even my income increases every year, my expenses also increases. My financial goal seems to be impossible, right? So it was a wake up call for me, as I do not want to see myself still working hard 25 or 30 years after. That was financial independence for me back then, to have a one million pesos (around 21,000 USD) in my bank account. But is that really enough for financial freedom? Wikipedia defines Financial independence as the state of having sufficient personal wealth to live without working actively for basic necessities. Simply, your assets is generating income that is more than your expenses. Imagine a life stress free from financial anxieties. Waking up each day doing anything you wanted in life without worrying how much money you need to earn. You can travel at any point in the world or just relax in your own home while spending precious time with your loved ones. Nothing can stop you from having these moments. A choice you can make today and live in the near future. This is financial independence. Today, I believe having one million pesos in a bank account is not Financial Independence. According to the study made by Asian Development Bank (ADB), The Philippines was ranked 68th in the world in terms of financial literacy index as of 2015 despite being one of the emerging markets in Asia. Filipinos are struggling to understand the basic financial concepts such as inflation. 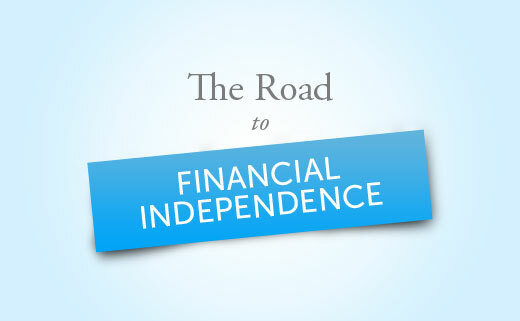 Without having a slight idea on these concepts is a great loss on your potential to achieve your Financial Independence. In my next series of posts, I will be sharing some ideas or tips that would be helpful on your journey to a worry free financial life. Storing up riches and winding up financially independent is a moderate procedure that requires some investment. You do little things consistently, for example, cut your costs, produce additional salary. I like to read this article and I will also writing in my blog which is Edubirdie. However, some critics have called this a 'finessing'https://mailchi.mp/cc08635ff53e/solopreneursguide of the reality that they still make most of their money from commissions even if they do charge an often reduced hourly fee for their services.